A director recently asked me how he could improve his intense scenes with less experienced actors. I told him that the key to the level of intensity is in the actor’s perception on how they are coming across on screen. Most feel like their intensity isn’t big enough unless they become theatrical, which doesn’t work on camera. The best way to help the actor understand their level of intensity is by painting a picture in their mind of what big intensity would look like and then ask them to think about it during the scene, but not portray it. This creates internal conflict and an intensity begging to come out, which reads very well on camera. Telling the actor to bring more or less to their performance is a waste of time. Whenever we tell the actor to back off a bit on the intensity, they have no point of reference and feel awkward, which detracts from the scene. Instead, telling the actor to picture themselves in another situation and express what their character is fighting for in a way that they can pre visualize will help immensely. Once you can tell they have the picture in mind, you can return them to thinking about it, but not acting on it. This will generate enough internal conflict to build intensity from the camera’s viewpoint. However, you will frustrate the actor and must compensate by encouraging them after each take. Without doing so, the actor will start withdrawing and alter their character. After all, it takes a lot of confidence to play something other than who they are. When helping the actor to develop what the character is fighting for, it’s important to use action words. Saying that he is shuffling toward his destiny, or raging against a bureaucracy designed to hold back the little people, gives the actor something specific to work from. Shuffling and raging are both words that describe a visualization of an emotion and are ideal for building character. 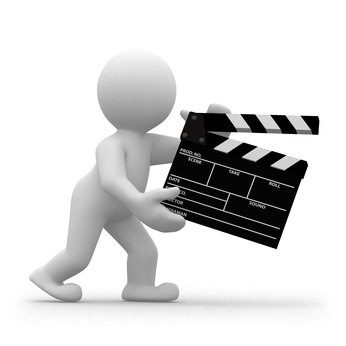 All trained actors are taught to “do business” and using action-based words adds to that skill. It helps the actor turn the emotional elements of their character into action or reactions, which feed intensity. I can’t help but notice that the vast majority of acting awards have gone to actors who had a good director. Rarely will you find an actor achieve excellence with a poor director. The reason is simple, actors can’t see their performance and they can’t come up with all the needed visualizations of their emotions. It takes a great director to create a visual moment that is safe for an actor to dig deep and draw out strong emotional ties from their own life that are action oriented. Few actors will trust their deep emotions with a director that doesn’t know how to visualize it or make it come across well on camera. Imagine how an actor would feel as they draw from a point of vulnerability to find that the director allowed the intensity to appear over the top and made the actor look foolish. The actor would feel burnt and during their next opportunity will perform what is safe, rather than award winning. The director owns the emotional tone of the picture and the artistic expression. Therefore, directors must work to build trust with the actors. I worked with one actor a couple years ago who, in my opinion, was one of the best stage actors in the area. However, the camera is far more sensitive to action than the stage and everything must be played smaller. During his first shot, I watched a stage performance. He could sense that it was over the top and too animated for the camera and asked for help. I had the choice of saying play it smaller, as most directors would do, but I didn’t. I told him that his character was headed to an appointment with a fragile piece of art to exchange for a $50,000 bonus check. Then I asked him to do a dry run without “acting,” but to think about the fragile art and his bonus check. The intensity of his care for the fragile coupled with a sense of speed read well on camera – The camera saw a concerned man moving quickly to resolve. I had the camera team roll with the idea that we’d use a tail slate if it worked. The performance was perfect. His stage presence disappeared without undermining his emotions. He was able to keep his stage thinking in place along with his confidence. The scene worked beautifully. His next shot was even better after having shot such a successful take. A director who can protect his actor’s emotions during each take will draw out the perfect level of intensity, giving the actor a great piece for his or her reel, not to mention festival accolades. The key is helping the actor to draw from and visualize their life experiences and emotions. For those working with experienced professionals, selecting key action verbs to describe the character’s objective or what they are fighting for will more quickly accomplish the same result. Learning about the actor’s emotional reserves and their ability to translate it to the screen will help the director decide which approach will work best.